Almost 70 per cent of sales of the Camry were of the hybrid car and so, the company did not think twice when it decided to bring in the new generation model to the country. The new Toyota Camry Hybrid is the eighth-generation model. The New Toyota Camry will the eighth-generation model. Almost 70 per cent of the sales comes from the Hybrid variant in India. The new Camry is based on the GA-K Platform. 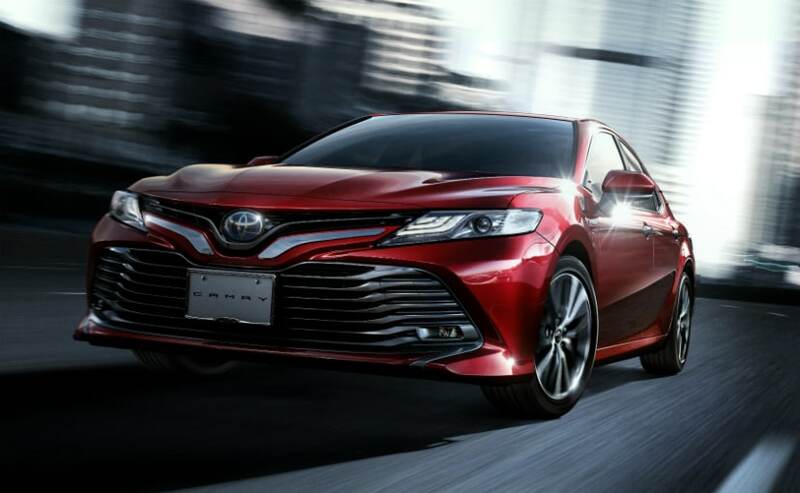 The Toyota Camry is the first launch for the Japanese carmaker in 2019 and it's an important one at that because the company has received a good response for the previous generation models of the car. In fact, the Camry with the hybrid powertrain has been the top seller for the company compared to its petrol sibling. Almost 70 per cent of sales of the Camry were of the hybrid car and so, the company did not think twice when it decided to bring in the new generation model to the country. The car is all set to launch in India on January 18, 2019 and there are quite a few details out already. The new Toyota Camry will be the eight generation of the car globally and the 4thgeneration for the entry level luxury sedan in the country. The all-new Toyota Camry will only be offered with a hybrid powertrain at the time of launch and will go up against the likes of the Skoda Superb and the Honda Accord Hybrid. The Camry will also take on competition from smaller luxury sedans like the Mercedes-Benz CLA and the Audi A3 amongst others. The new Camry Hybrid is expected to cost close to Rs 40 lakh (ex-showroom) due to the high 48 per cent GST that is applicable to Hybrid cars in India. The new Toyota Camry gets an all-new bodystyle that is sleeker than before and yet showcases the typically Toyota design language really well. The blue accents on the badging will continue to be offered showcasing the hybrid underpinnings but overall, the Camry now looks a lot better. The new Toyota Camry hybrid will also have a set of larger wheels and a blacked out roof. Under the skin, the new Camry is based on the Toyota New Global Architecture (GA-K) platform that is also found on the Lexus ES sedan in India. The Camry gets a 2.5-litre, four cylinder petrol engine mated to a front wheel drive layout. The engine makes 174 bhp and 221 Nm but of course, being a hybrid, is mated to a 116 bhp electric motor. The total power rating on the new Camry will be 205 bhp. The new generation of the Camry now gets a larger touchscreen display, a new heads up display and a new infotainment system too. It will also come with three-zone climate control and a leather-wrapped steering wheel with audio controls and cruise control. It will also offer wireless charging for smartphones and a 9-speaker JBL Dolby audio system. The new Camry will also get a little more space in the back seat and just like the last generation, it will also get a set of reclining rear seats which are one of the key features of the car. On the safety front, the Camry will come with nine airbags and a host of active safety systems including ABS with EBD, brake assist, traction control, hill start assist among others.